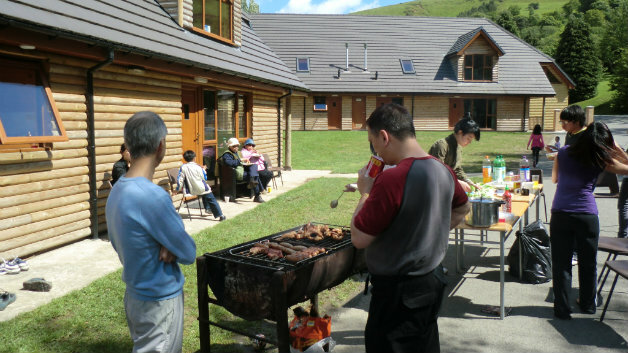 This years church weekend away is at Cefn Lea Conference Centre and Holiday Park, which is situated in a secluded valley in the beautiful and peaceful hills of Mid Wales. The dates for the weekend away will be the 4th-6th of October, 2013. There are several types of accommodation at Cefn Lea, we will be staying in the Leisure homes. Each leisure home has three bedrooms and its own shower room. Each unit is also equipped with basic cooking appliances. All accommodation is provided with duvets, pillows and blankets. However sheets, pillow cases and towels are not supplied, and must be brought with you. Meals are provided. There will be a buffet meal on arrival Friday evening. We will provide breakfast, lunch and an evening meal on the Saturday and breakfast on Sunday before departing in the afternoon. Transport is not included in the cost of this weekend away. If you would like a place on the Mini-Bus please make this apparent when booking onto the trip, there will be an additional expense for this. The weekend will consist of various activities and meetings, and will be kick-started with an evening buffet together on Friday evening. For more details on the schedule of the weekend please see the information leaflet. Deposit of £20 per person to secure a place. Places are limited. If you are interested in going on this fantastic trip away please fill in a form that is available at the information desk at the back of church, or email Becky Parkinson. Please feel free to ask any questions before you wish to make your booking.